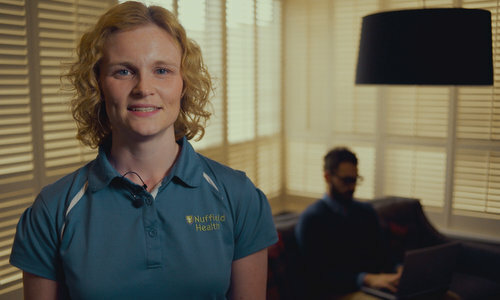 Why choose Nuffield Health Haywards Heath Hospital for your spinal decompression surgery? If you suffer from spinal stenosis, you may want to consider an alternative to laminectomy surgery to treat your condition. Our expert spine consultants regularly perform spinal decompression, which takes less time in theatre and is relatively less invasive. Our private hospital is conveniently situated on the outskirts of Haywards Heath's town centre. Our primary location is easy to find and allows us to provide plenty of free parking for patients and visitors. If you are suffering from spinal pain and want to discuss your treatment options with one of our consultants in Haywards Heath, you will need to book a private consultation via our dedicated enquiry team on 01444 456999 or by filling out an online contact form below. Spinal stenosis is a narrowing of the spinal canal. The spinal canal contains the nerves that leave the spinal cord. A combination of arthritis in the spine or bulging (herniation) of the discs or (in rarer cases) spondylolisthesis (where a vertebra slips forward or backward) or spinal tumours can cause this narrowing. Decompression is performed to release nerves trapped by this narrowing. What happens during lumbar spinal decompression at Nuffield Health Haywards Heath Hospital? You will be encouraged to get up and move around as soon as possible - usually within 24 hours of your operation. Please wait for a member of our nursing to help you out of bed for the first time. Why not print this treatment page so you can discuss any concerns you have with your surgeon in Haywards Heath?